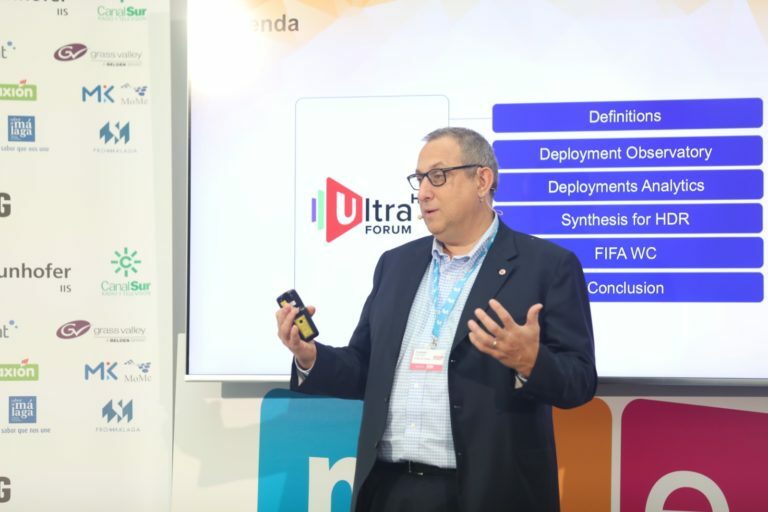 According to Thierry Fautier: “Live UHD is still developing. 2018 is the year of commercial deployment of HDR”. Paul Gray, Principal Analyst at the IHS Markit, then presented his conclusions on the 4KSummit 2018 to the audience. According to Gray: “The UHD is going to arrive, it’s just a matter of time”, “We are in the golden age of content creation”. Vanessa Bernad, CEO of Extenda, was in charge of opening the session on women’s empowerment in television, Colombia’s commitment to the Digital Content Economy and 4K content, and its support for 4K Americas. Johanna Rueda explained to the audience that she has never felt discriminated by the fact of being a woman in her work and that Caracol TVhas strongly committed on 4K productions since 2016. After Johanna Rueda’s speech, Carlos Fontanot, NASA’s Imagery Manager of the ISS, explained to the audience his vision of CineSpace NASA: “NASA has been compiling unique images for the last 60 years that are available to filmmakers around the world”. Ricardo Medina, CEO of Medina Media, has concluded the day announcing the next edition of the 4KSummit, which will take place on November 6, 7 and 8, 2019 under the organization of Medina Media Events. 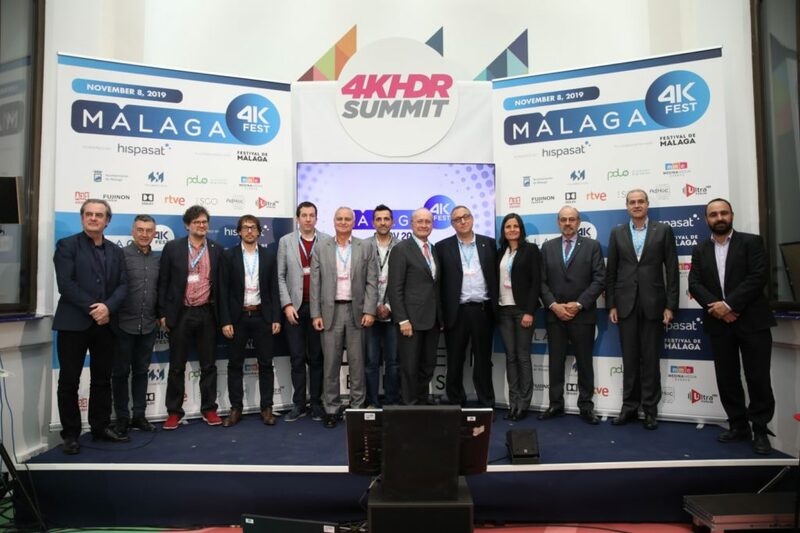 At the end of the 4KSummit 2018, it has taken place the presentation of the Short Film Festival ‘Malaga 4K Fest‘, with the presence of Francisco de la Torre, mayor of Malaga, responsible for opening the Festival with Mario Cortés, Councillor for Innovation and New Technologies of the City of Malaga and with other personalities such as Jorge Rodriguez, marketing director of Hispasat and Juan Antonio Vigar, director of the Malaga Film Festival, among others. 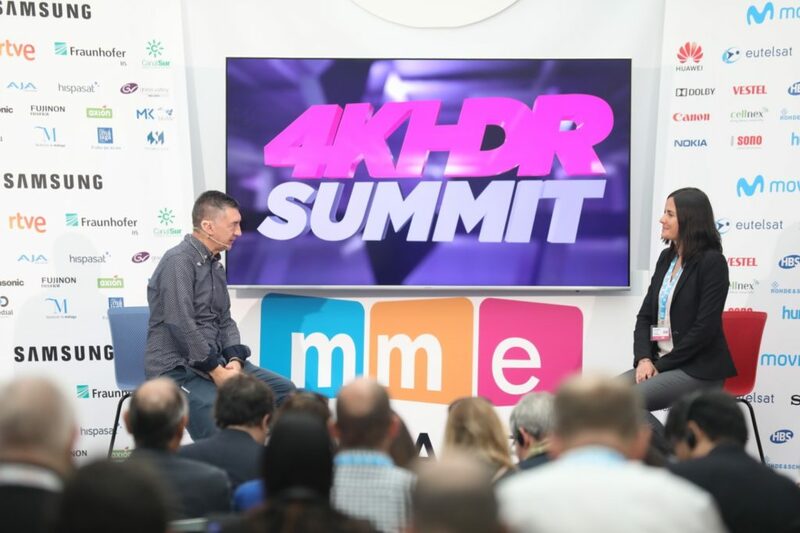 The last day of the 4KSummit, one of the largest international events on 4K-HDR technology, ended with a lunch offered by Sabor a Málaga “El sabor que nos une” and sponsored by Ayuntamiento de Málaga, Promálaga, Polo de Contenidos Digitales and Festival de Málaga. Throughout the three days, networking has been the protagonist in the breakfasts offered by Esca Catering and sponsored by MediaKind in collaboration with Mome, by Axión, by Canal Sur and by the Ultra High Definition World Forum; the cocktails with Sabor a Málaga “El sabor que nos une”and the Happy Hours offered by Cerveza Victoria and sponsored by Medina Media Events and Tedial. 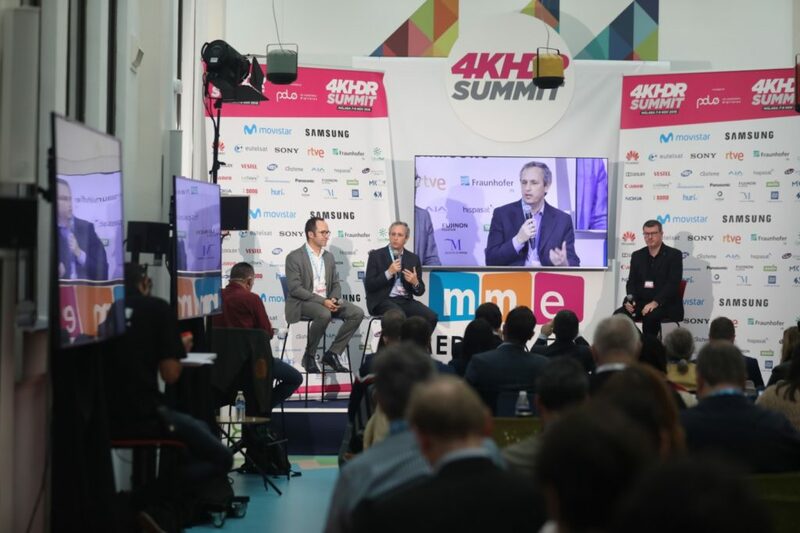 In the afternoon of the second day of 4KSummit we learned about the new technological solutions of multinationals such as Movistar (Rubén Mellado), Nokia (Álvaro Villegas), AJA (Kevin King) and the advantages of 5G of Rohde&Schwarz (Juan Pachón), Cellnex (Xavi Redón) and Hispasat (Daniel Castro). “Every day we are asked for more content for mobile devices. The challenge for mobile network operators is to cover this demand”, highlighted Juan Pachónfrom Rohde&Schwarz. 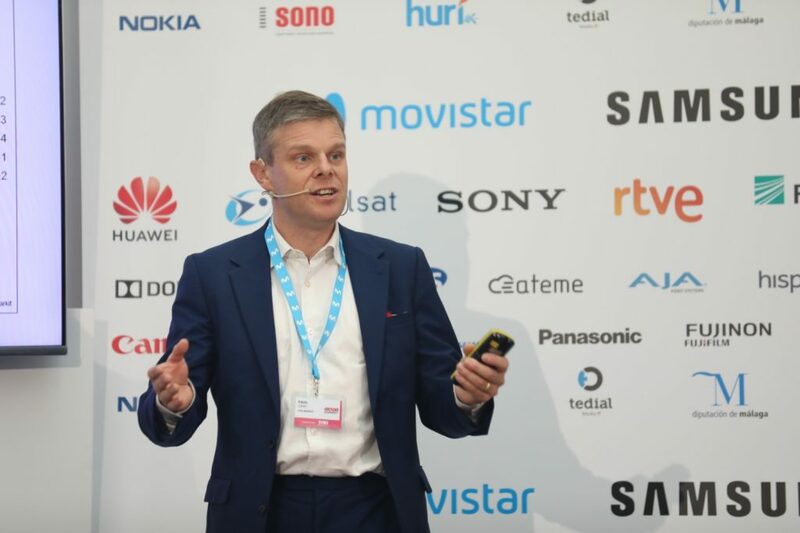 Daniel Castro from Hispasat told us that “new satellites will be ready to integrate and offer 5G services”. In addition, we were able to enjoy a final set of conferences focused on the new horizons that are opened for content with Ultra High Definition (UHD) listening to the words of French Olivier Chiabodo (The Explorers Organisation), Italian Mirko Mastropietro (Sky Italy) and Spanish Carlos Díez de la Lastra (Les Roches Marbella).